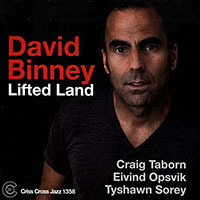 Saxophonist, composer and producer David Binney, a progressive artist with one foot in the mainstream and the other in the avant-garde, has gracefully skirted the tenuous divide between traditions for over two decades. Regularly alternating between semi-casual blowing dates and far more ambitious projects, Binney follows up the relatively straight-ahead Aliso (Criss Cross, 2010) and lavish Third Occasion (Mythology, 2009) with the expansive Graylen Epicenter. Featuring a host of Binney's longstanding associates, this wide-ranging session offers a compelling portrait of the enterprising artist's multifarious skills. 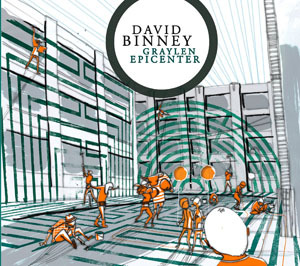 A singular talent with an affinity for sophisticated, contrapuntal arrangements, Binney's harmonious writing facilitates a variety of creative interpretations from his sidemen. The melodious, open-ended title track features a probing electric guitar solo from Wayne Krantz, whose spiky acoustic picking on the bracing coda of the otherwise tranquil "From This Far" reveals his vast dynamic range. Tenor saxophonist Chris Potter engages in a series of heated exchanges with the leader's acerbic alto on the careening post-bop of "Terrorists and Movie Stars," while rising trumpeter Ambrose Akinmusire's adroit facility is highlighted on "Waking To Waves." 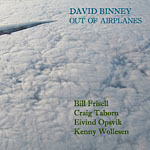 Providing stalwart support and a modicum of expressive interjections, bassist Eivind Opsvik and pianist Craig Taborn convey the same eloquently articulated intensity they have on many of Binney's previous records. Revisiting the polyrhythmic cross-cultural fusions of his collaborations with Venezuelan-born pianist Edward Simon, the percussion heavy line-up features a rotating roster of all-star talent. Percussionists Kenny Wollesen and Rogerio Boccato accompany either Brian Blade or Dan Weiss on trap set, with a third of the album featuring Blade and Weiss playing drums simultaneously. "All of Time," demonstrates the rousing fervor such meetings can generate, as Blade and Weiss enthusiastically solo over the tune's martial ostinato, prefacing Taborn's locomotive filigrees and Binney's cathartic declarations. Brimming with controlled fervor, Binney's solo statements are models of architectural logic. 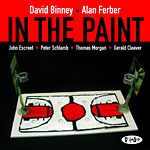 Whether trading pithy rejoinders with Taborn on the funky abstraction "Equality At Low Levels" or negotiating a labyrinthine gauntlet of polyrhythmic percussion with a series of pointed motifs on "Any Years Costume," Binney's judicious combination of unfettered zeal and knowing restraint perfectly complements his multifaceted writing. Gretchen Parlato frequently shadows Binney's circuitous melodies with virtuosic vocalese; her euphonious tone and dulcet phrasing adds a sublime emotional undercurrent to the leader's sonorous themes. Doubling his lines on tracks like the lyrical "Everglow" and the airy miniature "Same Stare, Different Thought," she wordlessly conveys the same soulful quality as the heartfelt lyrics she contributes to "Home." 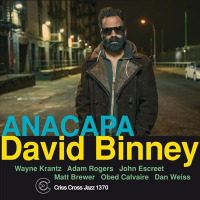 Bolstered by the committed performances of his veteran accomplices, Graylen Epicenter is one of Binney's most poignant and affecting releases, ranking alongside the equally assiduous efforts of such celebrated peers as Joel Harrison, Donny McCaslin and Chris Potter. Track Listing: All of Time; Graylen Epicenter; Equality at Low Levels; Everglow; From This Far; Terrorists and Movie Stars; Same Stare, Different Thought; Home; Any Years Costume; Waking to Waves. 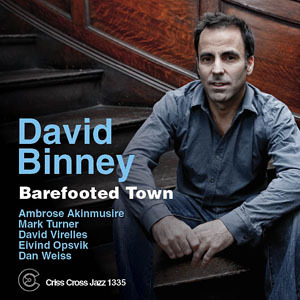 Personnel: David Binney: alto and soprano saxophones, vocal; Gretchen Parlato: vocal; Ambrose Akinmusire: trumpet; Chris Potter: tenor saxophone; Craig Taborn: piano; Wayne Krantz: guitar; Eivind Opsvik: bass; Brian Blade: drums (1-4, 6, 8-10); Dan Weiss: drums (1, 5, 6, 9, 10); Kenny Wollesen: percussion, vibes; Rogerio Boccato: percussion; Nina Geiger: vocal harmony (10).